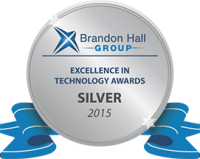 Hurix ’s flagship product KITABOO, helping Content Providers Go Digital, won the coveted Brandon Hall Group Silver award for Best Advance in Mobile Learning Technology category. Hurix’s win was announced on 4th December 2015. Brandon Hall has recognized Kitaboo as the leader in Mobile Learning Technology as it allows publishers, institutions, and corporates to seamlessly collaborate, share and publish interactive content in real time. Enterprises, publishers, and institutions use KITABOO to create and distribute interactive content securely on mobile devices. Present in over 20 countries and with a global user base of over 10 million users, KITABOO provides a multi-lingual learning solution with best-in-class user experience on the device of their choice. 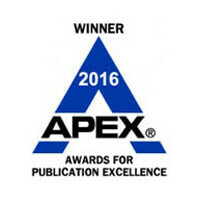 Hurix is the leading digital content solutions provider to global educational publishers, institutions, and corporates. Hurix Services provides effective, compelling, and engaging digital content, across traditional and all mobile platforms, formats, and devices. Hurix has won multiple awards (Brandon Hall 2013 & 2014) for its platforms, KITABOO and Dictera in the field of learning technologies, Mobile & Content Authoring. Hurix has been recognized by the World Education Congress as one of the ’25 Best E-Learning Companies’ and is among the leading training outsourcing companies’ watchlist by the Training Industry Inc. Recently, Hurix has won 2015 Red Herring Top 100 Asia Award. KITABOO is an end-to-end e-content suite that allows publishers, institutions, training companies and corporates to create and distribute interactive content securely on mobile devices. Content consumption is tracked with built-in enhanced analytics providing valuable insights on content consumption patterns. KITABOO offers a white label solution with client branded Reader Apps across multiple devices and platforms. For more information, visit us at www.kitaboo.com, email us at kitaboo@hurix.com, follow us on Twitter and like us on Facebook. Brandon Hall Group has an extensive repository of thought leadership, research, and expertise in Learning and Development, Talent Management, Leadership Development, Talent Acquisition, and Human Resources. At the core of our offerings is a Membership Program that Empowers Excellence Through Content, Collaboration. Somya Sharma, somya.sharma@hurix.com, +91-22-61914888. Hurix Systems Pvt. Ltd.